Deadpool is now in full-swing production, which means that castings and character announcements have been making the rounds recently. Now we can add another name to the list of obscure Marvel characters appearing in the movie. Earlier today, actor Ed Skrein posted this picture announcing who he will be playing in the 2016 blockbuster. The tweet is short and to the point, with only a picture of his chair on set and the hashtags #deadpool and #ajax - the latter confirming that Skrein will be portraying Ajax in the Merc With The Mouth’s solo adventure. This is just the latest character announcement we've seen from Deadool, which has a line-up that is said to include the titular character, Colossus, Weasel, Copycat, Angel Dust and Negasonic Teenage Warhead. Skrein’s casting was first announced in January, and it was suspected then that he would be playing the central villain. While it isn’t clear yet whether he will be the film’s main antagonist, Ajax certainly fills the role of a villainous figure. Introduced to the Marvel Comics world in 1998 by Joe Kelly and Walter McDaniel, Ajax was introduced as an assistant for Dr. Emrys Killebrew, the man who performed torturous experiments on Wade Wilson, ultimately activating his healing factor. Also known as Francis - his real name that Deadpool loves to torment him with - Ajax undergoes a process that not only removes his nerves so he doesn't feel pain, but also gave him super-strength and agility. With these abilities, he keeps the experiment subjects in line whenever they got out of line. Eventually Wade started causing so much trouble that Killebrew gave Francis permission to kill him - but Wade winds up seemingly killing Francis instead and escaping the program (soon after taking the Deadpool identity). Francis returned years later as Ajax with a high-tech suit of armor to exact revenge on Deadpool. Since this film has been identified as Deadpool’s origin story, it’s possible Ajax’s role as an enforcer will remain intact. The movie’s synopsis says that Wade will use his new abilities and twisted sense of humor to hunt down "the man who nearly destroyed his life." Whether this man is Killebrew or a brand-new character, it’s possible that he’ll send Ajax to track down Deadpool before he can exact his revenge. If that’s the case, we can expect one, if not several, intense battles between the two. 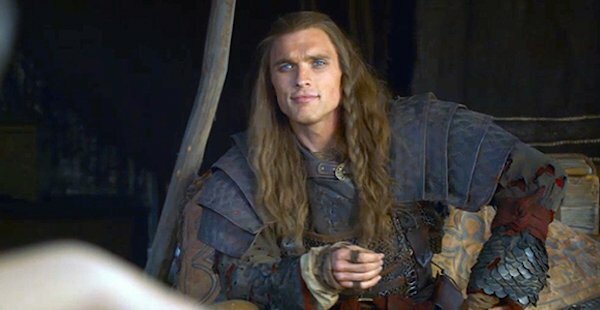 As seen above, Ed Skrein is arguably most recognizable for playing Daario Nahaaris in Game of Thrones Season 3. You can see him later this year replacing Jason Statham as Frank Martin in Transporter: Refueled. His other work includes Ill Manors, Tiger House and Northmen: A Viking Saga, and he is also, interestingly enough, a rap musician. You can catch Ajax alongside the rest of these unique, superpowered characters when Deadpool is released on February 12, 2016.